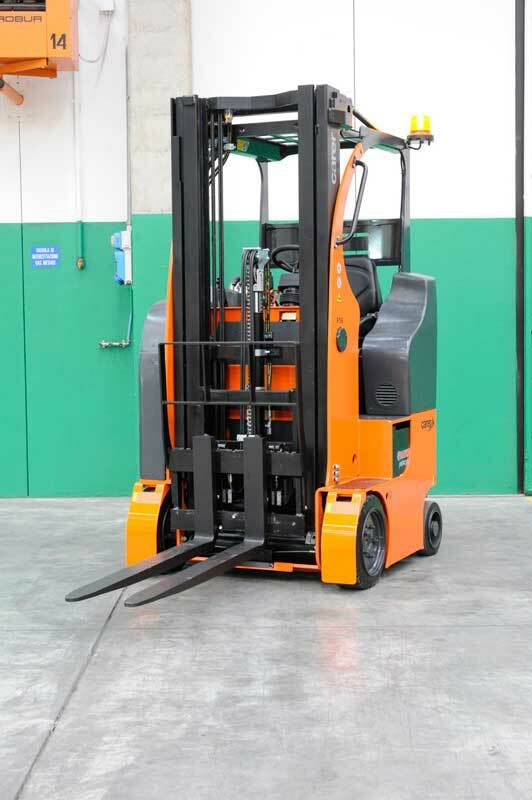 The innovative super steer axle, the high residual capacities at high lifting heights, the extremely small rack-aisle widths, the turning radius and front-facing drive make F16 H electric forklifts the truly unique alternative to retractable forklift trucks. 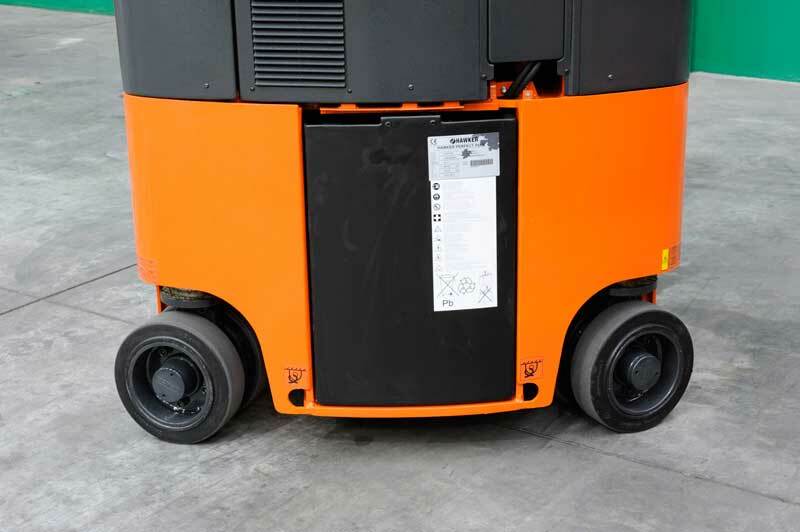 Designed to offer a front-facing drive setting whilst maintaining an extremely small turning radius required for handling in aisles, F16 H ensures a level of comfort and ergonomics suitable to stay on the machine for long periods of time. DTwo electric AC motors, MOSFET electronics, energy recovery, power and torque provide the F16 H electric forklifts with unparalleled ignition, speed and maneuverability. 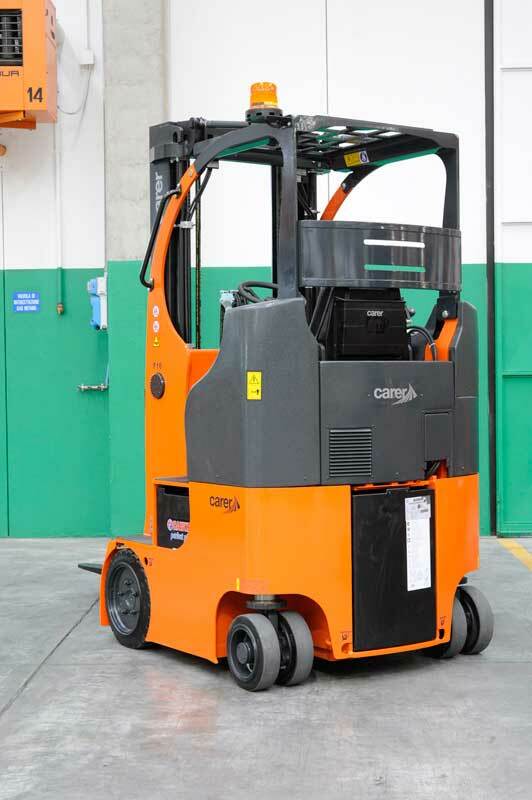 Fitted with a high-visibility upright unit attached to the frame and a pan/tilt system operating on the fork-holder plate, this forklift truck can withstand high residual capacities even at high lifting heights. Unique in its kind, F16 H is an ideal forklift truck for those who need to handle equipment in confined areas whilst maintaining a front-facing drive setting. 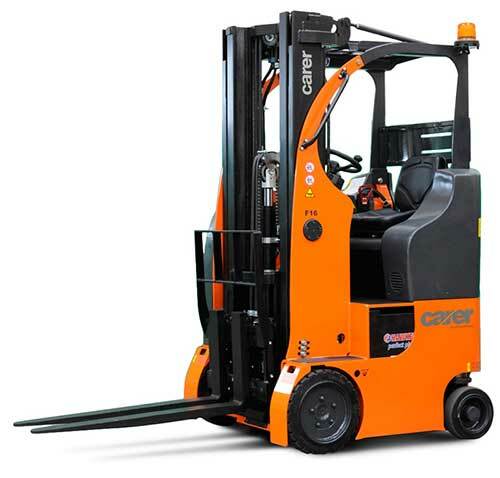 Fitted with oil-bath brakes located in the reduction units, an electronic braking system with energy recovery and “load sensing” hydraulically-assisted steering to optimize consumption levels, this forklift truck can withstand long operating times at high performance levels.